For anyone infected with the gardening bug, an early symptom is the intense desire to learn more about the subject. While television and radio programmes can be informative, they are by their nature fleeting and hardly ever accessible when a problem or query arises. The obvious answer is to build up a specialist personal reference library, and have these texts close at hand. While garden books are often informative, they are expensive, so care needs to be taken in choosing titles which are well-written and their content suitable for your climatic conditions. There are literally hundreds of garden books published each year in Australia and around the English-speaking world. They can be loosely divided into a number of sub-categories: how-to books, plant IDs, horticultural textbooks, plant monographs, garden profiles, and the eclectic basket of “miscellaneous themes”. 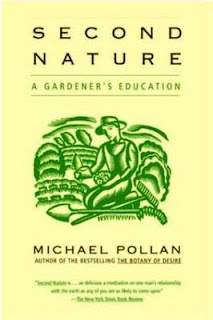 Like cooks, gardeners need to have a few entry-level texts as an introduction to all aspects of the craft. While most how-to books are large and well illustrated, there are some that should be avoided. 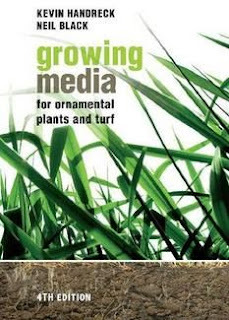 Many multinational publishers produce garden books aimed for the British, North American and European markets. Their information is general in nature and often unsuitable for Australian climates. For me the best all-purpose book available locally is the Yates Garden Guide. First published in 1895, this book has been updated more than 50 times during its long history and is packed with accurate information suitable for all our climatic areas. 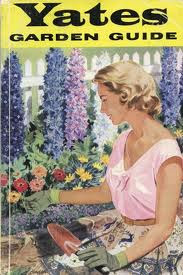 If you must have only one garden book in your library, that book should be Yates Garden Guide. As a must-have book it makes an ideal housewarming present when a new garden awaits. All gardeners want to learn the names of plants growing around them, be they ornamentals, vegetables, trees and even weeds and there is a plethora of books available for such a purpose. There are several weighty tomes brimming with photographs of plants, which can be very useful in identifying the name of that sickly perfumed plant growing over the neighbour’s fence or the large red-flowered bush growing in the backyard. My personal favourites in this category our Stirling Macobys, What Flower is That? and the Reader’s Digest Garden Encyclopedia. Identification in both these books is based on plant type and variety of flower, which is illustrated in thumbnail photographs. While these guides are suitable for the non-botanist, specialist identification guides are essential for those with some intermediate or advanced technical plant knowledge, such as the five-volume Horticultural Flora of South Eastern Australia by Roger Spencer. Of the many books used in teaching horticulture, there are two works that have lasted the test of time. Soil science, I must confess, was never my strongest subject when I was a horticultural student, so I relied heavily on Kevin Handreck and Neil Black’s Growing Media for Ornamental Plants & Turf for technical help. Despite the dry title, this book is essential for the serious gardener or horticulturist keen to lean more about the science behind plant nutrition. While knowledge of soil science is not essential for every gardener, knowledge of plant health is, so every gardener should have a copy of Judy McMaugh’s, What Garden Pest or Disease is That? Thanks to the detailed photographs and text the reader can clearly identify all the major pests and diseases found in Australian plants and ways to eradicate them. As pest and disease management has changed much in recent years, readers should try and locate a recent edition. While introductory guides supply accurate information, it’s mainly general in nature. For those wanting cultural advice about different types of plants thousands of specialist guides are available often written by expert gardeners for different audiences such as home gardeners, horticulturists and botanists. Illustrated books featuring high-profile gardens have been around for many years, having grown out of souvenir guides to private homes and National Trust gardens. While they are especially popular in Britain and the United States, there have been few local examples apart from books on the major botanic gardens and prominent private gardens. One of the best private garden books is The Garden at Bronte by the prominent food and garden writer Leo Schofield. Beautifully illustrated this book records Leo's eight-year project to restore Bronte House, a mid-19th century property in Sydney’s eastern suburbs. With the cult of celebrity taking over the western world, it was inevitable that profiles about famous gardeners would join the rows of books about famous chefs and sportsmen. Often little more than elaborate portfolios of the designers’ works, these vanity monographs offer few insights into the life and work of the designer. In my view, critical attention on any artist or designer should be left until after their death. Much of the writing available is aimed at the entry-level gardening reader. Many gardeners have been involved with landscape design for a number of decades and demand a little more meat in their garden books. Every few years, a truly original book comes out, which is worth reading again and again. 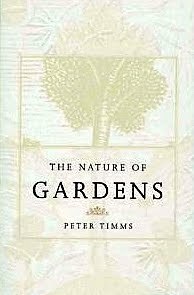 Two of my favourites are The Nature of Gardens edited by Peter Timms, and The Oxford Companion to Australian Gardens, edited by Richard Aitken and Michael Looker. In The Nature of Gardens, Timms asked 10 Australian writers what gardens mean to them, why they are important, and how we can come to better understand our urban environment. 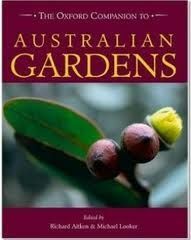 The Oxford Companion to Australian Gardens is one of the most original books ever written on Australian gardens and was written in association with the Australian Garden History Society. Like other 'Ox Comps', this well-illustrated reference gives the keen gardener a concise introduction to the world of Australian gardening. Reflecting the diversity of the book, entries include well-researched histories of prominent gardens and designers as well as quirky items such as the history of the gnome and the tyre swan. I have a soft-spot for this book as I wrote several entries including the one on gnomes. While most bookshops sell garden books, many of their titles are aimed at those buying presents for relatives with an interest in gardening: “Grandad likes roses, lets get him a book on that, - this one looks nice”. While Grandad or Grandma may indeed like roses, they may prefer a more specialist book on heritage roses or plants raised by specialist growers such as David Austin. For keen gardeners, it’s well worth visiting the garden bookshops found in the larger botanic gardens. For an even better range you should try and visit Florilegium, Australia’s only specialist garden bookshop. Now in its 22nd year, Florilegium at 65 Derwent Street, Glebe in Sydney (T: 02 9571 8222) is open seven days a week and has a mail order list. Shop owner, Gil Teague, has his own favourites, such as the North American author, Michael Pollan. According to Teague, Pollan’s thoughtful and witty debut book, Second Nature, was the “best read of the last seventeen years”. He also enjoyed Pollan’s recent work on food ethics, Omnivore’s Dilemma. Do you have any suggestions for garden books to add to my list? This article is an edited version of a piece I wrote for Wellbeing Organic Garden magazine. Silas, I love this blog and will be following with interest. Am specially glad to be reminded of Peter Timms who is a beautiful writer. And am glad to see I have the beginnings of a solid gardener's library. My mother once gave me a wonderful little book called Growing Herbs in Australian Gardens, but I can't remember who wrote or published it. Look forward to more posts, and if you can find a way to allow us to subscribe by email I will be a very happy bunny. The Nature of Gardens is a fine book..I have often said that Timms is AUs best garden writer! Thistle Harris is certainly worth considering for the list. I enjoyed reading her biography, and I have her Australian Plants in the Garden in my collection.